It’s always a thrill watching The 39 Steps’ Richard Hannay (Robert Donat) doing daredevil feats on the Flying Scotsman as it speeds across the Forth Bridge, kissing a Scottish crofter’s jealously guarded wife, and bringing down the house with an inane extemporized speech at a constituency meeting. A passive ex-Canadian rancher in London, Hannay must extricate himself from a murder rap and expose a spy ring by revealing unexpected daring, physical agility, and mental resourcefulness. Wrongly suspected of murdering a Mata Hari type (Lucie Mannheim) he thought was a prostitute but had no interest in bedding, he undergoes a momentous change, partially while manhandling the blonde (Madeleine Carroll) to whom he has been handcuffed in mutual dislike. There’s a sexual charge to his roughness that the lady only half-heartedly complains about, while his wit and thoughtfulness – he helps her hang up her damp stockings on a hotel room mantelpiece – melts her icy disdain. 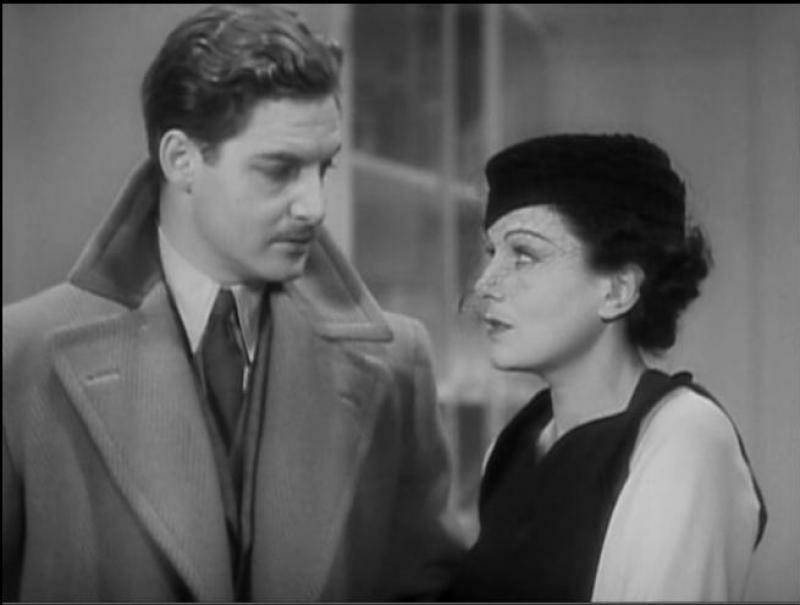 Robert Donat, who was 29 when filming began in January 1935, seized his moment, finding the right tone of virility and nonchalance without becoming a Bulldog Drummond or a proto-Bond. Saving his skin is his main concern, saving the nation (likely to be threatened by his adversary’s leaking of a military secret to a foreign power) of secondary importance. He is thus refreshingly unlike John Buchan’s Scots-born, pro-English South African colonial, a wealthy, anti-Semitic establishment figure who, over the course of the Hannay stories, winds up General Sir Richard Hannay, KCB, DSO, in which guise he was as much the deskbound Buchan’s alter ego as Philip Marlowe was Raymond Chandler’s. Wrongly accused like Hannay are Henry Fonda in The Wrong Man and Cary Grant in North by Northwest, but as the Hitchcockian fall guy who falls upwards, Donat is peerless. Even the milkman admires him. © Graham Fuller, all rights reserved. This article originally published at The Arts Desk and reproduced by kind permission of the author. Oh my oh my oh my. I’m 46 now, and first saw The 39 Steps when I was 20. And first saw this beautiful, gifted and exquisite man. I loved him then and I love him now. I have just stumbled upon your site. Hallelujah! I’ve put up a link to you on my writer’s blog. This one of my most favorite films with one of my most favorite actors. I’m watching it right now on “Turner Classic Movies”. Glad to hear you are enjoying the movie! I too stumbled upon your blog when I was searching for info on Jeremy Northam. 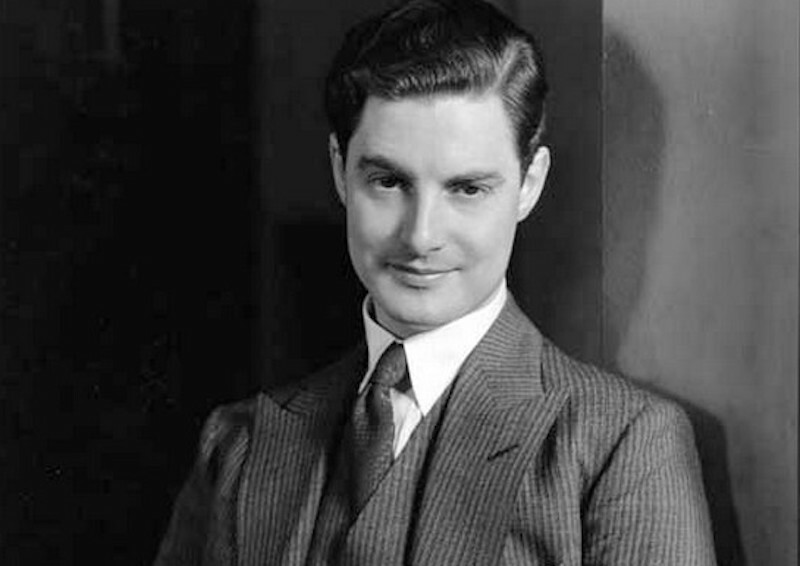 I watched EMMA yesterday for the umpteenth time and am always reminded of Robert Donat through the WINSLOW BOY connection whenever I see Jeremy. He’s like a modern day version of Robert – the melifluous voice, charisma, etc. I have loved Robert for years and now in my mid-forties still regard him as my favourite actor of all time, unfortunately underrated due to his illnesses but I’m so glad he’s not forgotten through blogs like this. Thank you. At last a fantastic dedicated website for this marvellous actor who I have long admired. I can only second what others have stated. His feeling for poetry it mesmeric there is no affectation he becomes the poem, a unique ability. That voice that face !!!! I could go on. I really think a new biography is now due. I have DONAT photos, 2 cigarette cards, lobby cards from Goodbye, Mr. Chips and One from The Adventures of TARTUS, and the Title Lobby Card from The Count of Monte CRISTO. I also have a large framed montage of him aging from chips with an annotated speech. I also have a beautiful color ad for The Magic Box. I’d be happy to post these on your site.